Earlier this month, Bill 22-0739 was introduced to the District of Columbia Council. The Bill is named the TOPA Bankruptcy Tenant Displacement Prevention Amendment Act of 2018. The Bill seeks to amend the Tenant Opportunity to Purchase Act to remove TOPA’s exemption of bankruptcy sales and to require owners of property acquired via court order to submit to TOPA regulations. Bill 22-0739 removes the bankruptcy sales exemption. Under current TOPA subsection (c)(2)(E), bankruptcy sales do not count as a “sale. ” D.C. Code sec. 42-3404.02(c)(2)(E) (exempting bankruptcy sales from TOPA regulation). With the new Bill, bankruptcy sales would instead fall inside TOPA’s scope and would require the “owner” to file a written Notice of Transfer. The Bill explicitly repeals the aforementioned subsection (c)(2)(E). The new Bill also includes new requirements for owners of property acquired through the courts, such as through an order or a court-approved settlement. Under current TOPA, these owners are exempted. D.C. Code sec. 42-3404.02(c)(2)(M) (exempting court-ordered sales from TOPA regulation). Bill 22-0739 stops short of expanding the “sale” definition to include such court-approved transfers, but instead adds an entire section that gives tenants under these owners an opportunity–within one year of the owner’s acquisition of title–to purchase the transferred property at 105% of the purchase price, plus reasonable out-of-pocket third-party and capital improvement costs. The Bill calls this new section “402b” and the section differs from other TOPA provisions in that 402b triggers following the transfer of title rather than prior to the transfer of title. 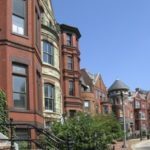 However, this new section does not require owners of court-transferred, single-family accommodations to afford their tenants any reasonable time to secure financing. See D.C. Code sec. 42-3404.09(3) (providing time before settlement for tenants in single-family accommodations to seek financial assistance). The Bill, as currently written, may pose several legal complications. Bill 22-0739 does not address partial transfers, no-money transfers, partition suits, or how TOPA intersects with federal bankruptcy law. For example, if a party sues for partition of real property, how will the final court order be subject to the TOPA rights of the property’s tenants?. Despite the new section providing a post-transfer trigger, the Bill also fails to address whether every suit involving interest in real property requires the tenants to be brought on as nominal defendants. Moreover, it is unclear how the Bill would affect the rights of a bankruptcy trustee and what notice needs to be given to the tenants of bankruptcy properties, especially given the Supremacy clause and any conflict between TOPA and federal bankruptcy statutes. Bill 22-0739 is currently under Council review.